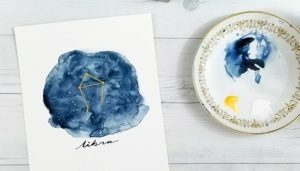 Join us as we learn to do a fun watercolor with your zodiac constellation! In order to accommodate as many people as possible, this craft is also offered at 6:00 pm, please register for only one event. The same craft will be completed at the 1:30 and 6:00 pm events.